I thought it sounded like another great multi-sensory tool! So let’s take a look at the app. This is the home page. I started with the ‘paper’ icon so I could learn more about how to use the app. The app took me through this tutorial, which helped me not miss any features! 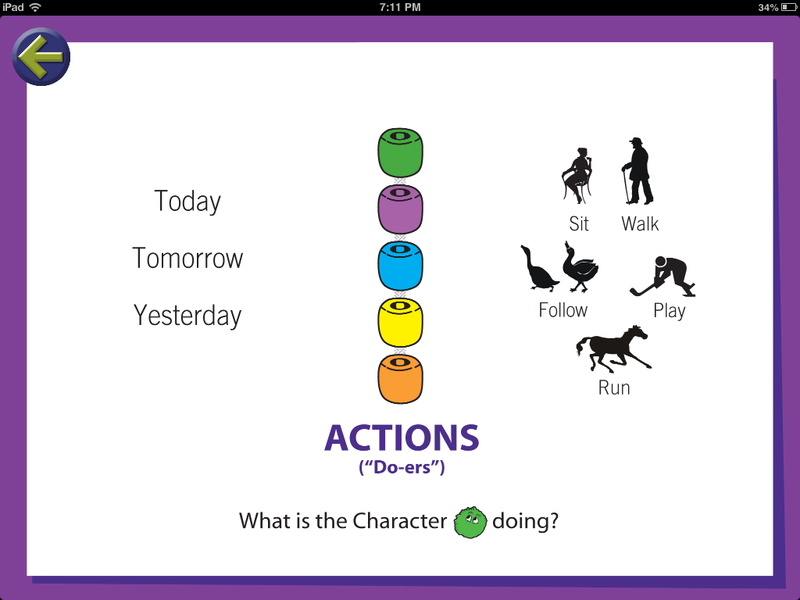 The program moves through the different symbols used through out a narrative. 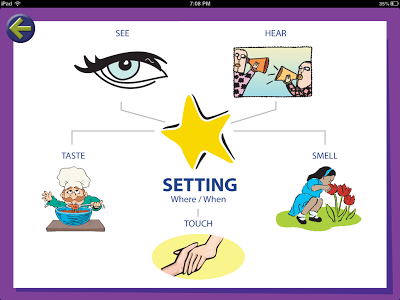 It shows you how to find more visuals for your student in each portion of the app! I chose to read more information (similar to what is on the website) through the app. 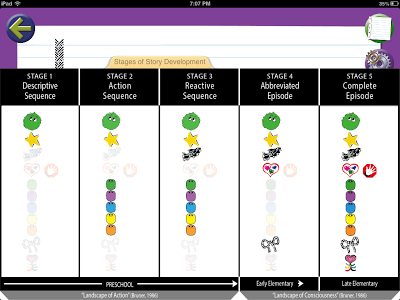 Above you can see the different developmental sequences for narratives used throughout the app. When you start your own story, you will see this page. 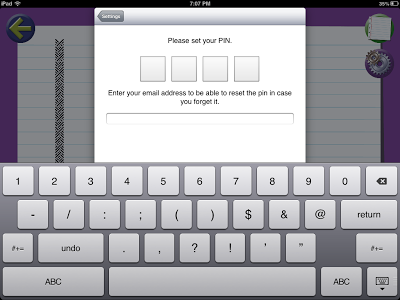 You’re given the option to password protect a story. This is great for keeping student information protected. 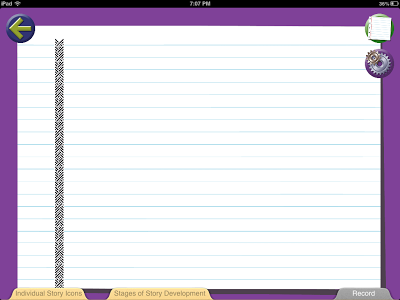 I started by selecting the ‘stages of story development’ at the bottom of the page. If you click on one of these strands, those appropriate icons will be added to the page. 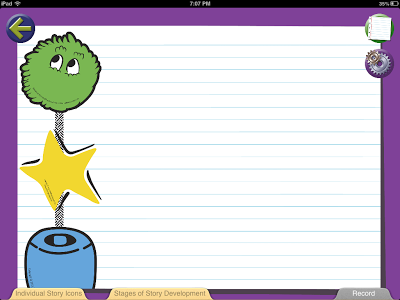 As the icons are added to the left side of the page, you can begin to write or retell your story. When you select an icon, you are taken to a page to add story information. Here you choose from typing, drawing, adding images or photos. This part of the app was a little frustrating. Twice my student deleted her information because she hit the ‘back’ arrow instead of ‘done.’ I also couldn’t find a way to add both images and text in the same page. My students needed both to recall all the parts of the story. As you click each part of the story there is a ‘more info’ button. This button shows a image that includes reminders for the student. Here is my ‘hockey game’ drawing for the first action in our story! Clearly I’m not an artist but the ability to draw makes the app engaging for my clients. So here was my story! About our family hockey game in Colorado a few years ago. 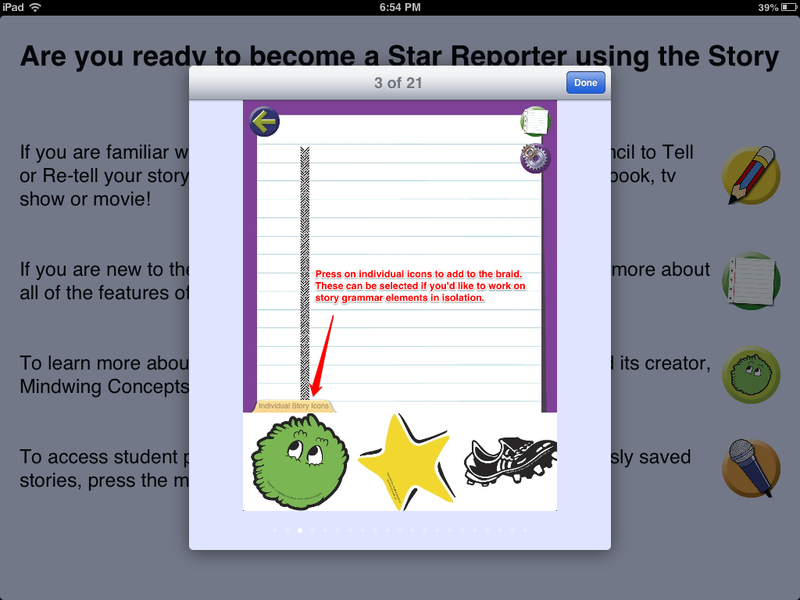 I recorded the story using the ‘record’ button at the bottom of the page. When the story replays it’s done as though it’s a news story. Save the story for later! 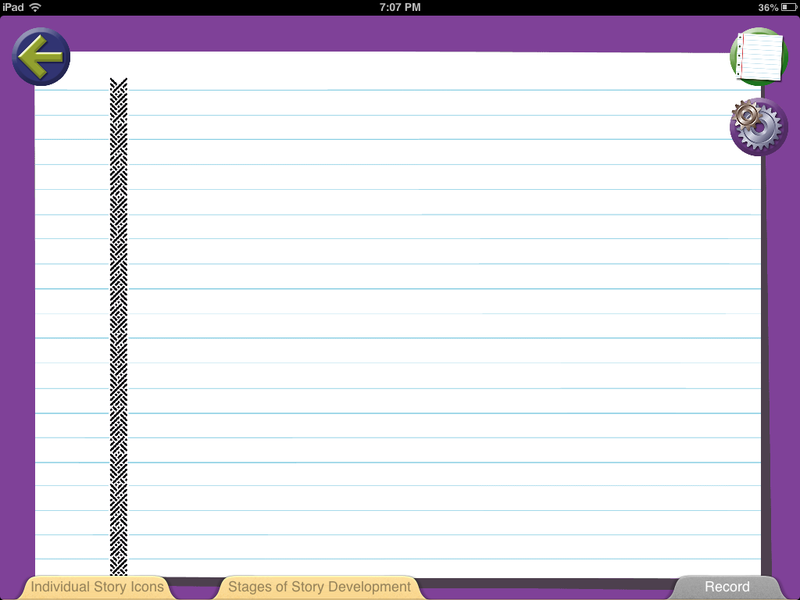 Here’s the story list screen! 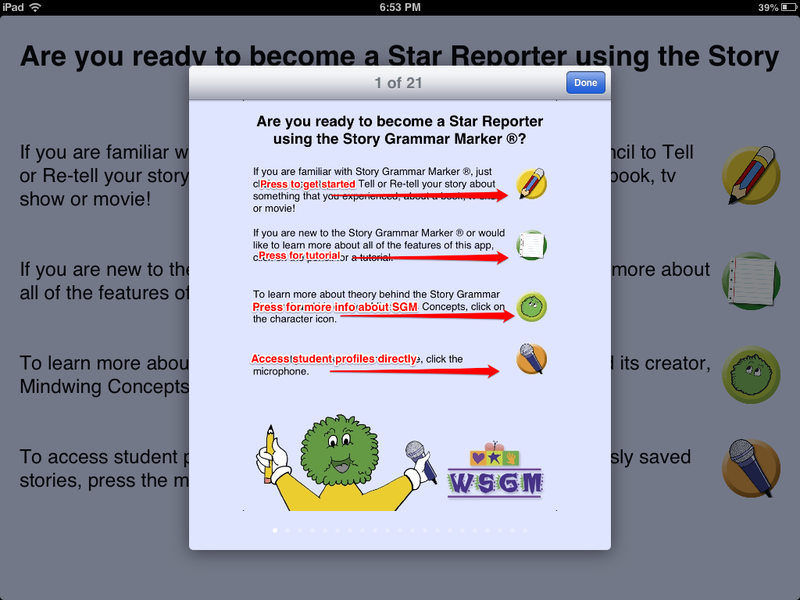 Pros: The app fills the ‘gap’ for narrative development. 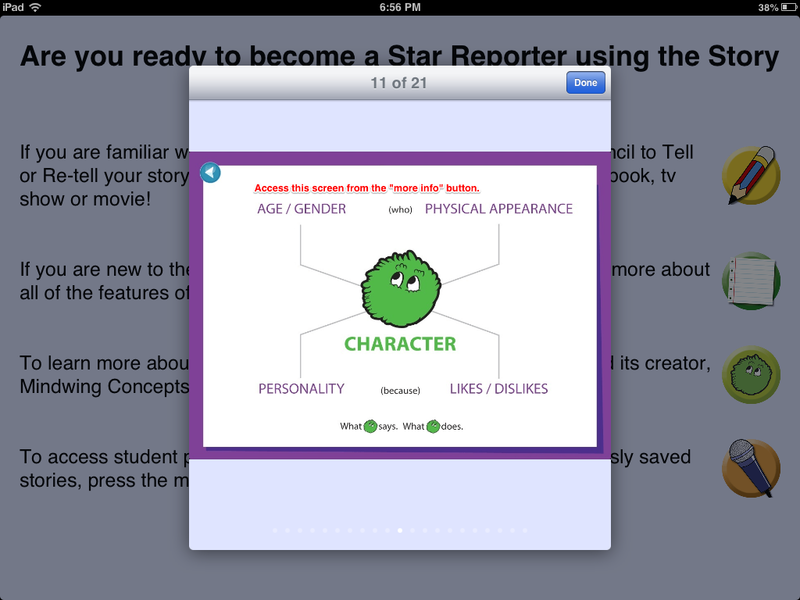 I don’t have any other apps for creating narratives skills. Those who already use the SGM program will be very excited to have another avenue for instruction. Using SGM for the very first time already increased my student’s ability to include details and a cohesive sequence to their writing. Doing it on the iPad made it even more appealing! Cons: Since the app accompanies a whole program, I’m sure using the app independently doesn’t give the user all the knowledge and skills that having the full SGM materials would create. I found that my students had difficulty adding their content when typing. They have to select ‘done’ on the keyboard and then ‘done’ on the side bar. Twice my student lost the paragraph she typed. 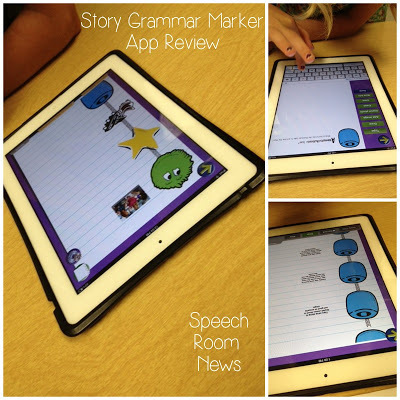 MindWing is offering 3 free copies of the Story Grammar Marker App to Speech Room News readers! Enter on rafflecopter below. a Rafflecopter giveaway Disclosure: MindWing provided a copy of this app for review. The opinions are mine. I absolutely love SGM! I have the whole kit in my room and this would be a perfect way to make the same ol’ thing engaging again! I also like to use Concept Builder along with SGM. I am so excited to try this app!!! Have not tried SGM but would love to. I have been considering ordering a kit. This would be a great introduction to the concepts. I have not yet tried SGM, but it looks wonderful. This would be a great way to test out the product! My students would love it! I have not used SGM but would also love to. I was considering ordering it and my school purchased the SKILL (Supporting Knowledge in Language and Literacy)program for me this year created by Sandi & Ron Gillam and Casey Laing out of the University of Utah. I usually target narratives by using bits and pieces of things that I have found over the years, using wordless books and teaching the children the vocabulary to go with retelling. We use a ‘Go’ chart in KG & first grade at my school that focuses on macrostructure so that helps with teaching also. I am hoping to tap into the microstructure this year for my Individual Growth Plan! 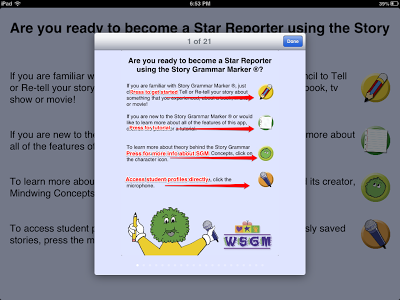 I would love love this app for my 3-5 graders!!! I have always wanted to try SGM but had not yet splurged to purchase it. I would love to try the app with my language students with story retell goals! 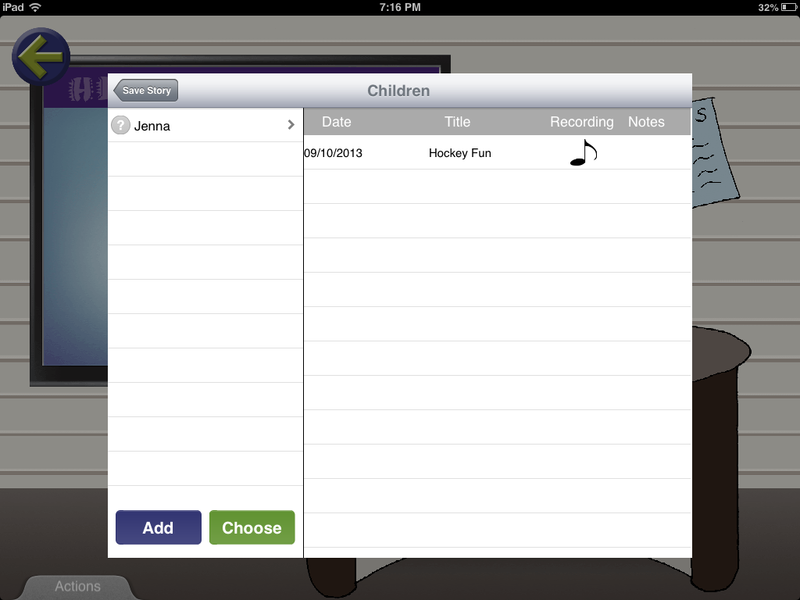 I have a client this semester with whom I would love to use this app! I don’t use it but I’ve been meaning to try it with students for years. I have been using SGM for almost 2 years now and I just love it! My kids have really been improving in their narrative language skills and this type of instruction has been a springboard for targeting many other goals as well. 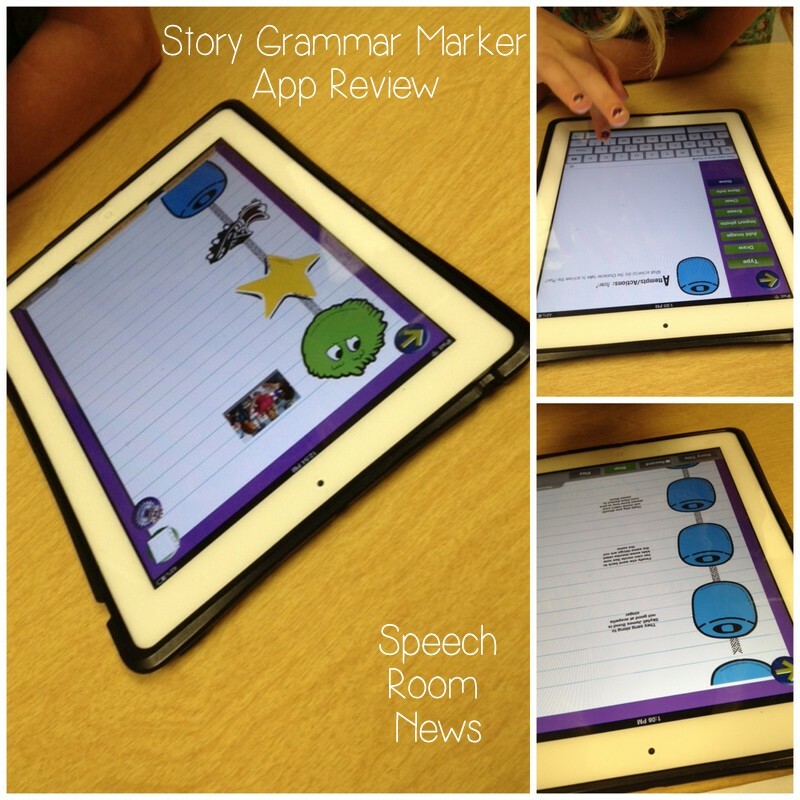 This app would be a huge hit in my speech classroom! I must admit, narrative are one of my weaknesses so anything to help with them would be wonderful. I just ordered the physical set and would love to have the app to accompany it! I have used SGM for a few years and even had the founder come do an in-service at a school I used to work at. 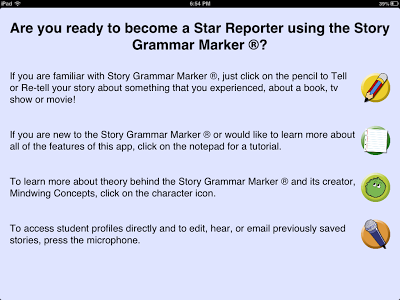 It’s a great program, and my preferred approach for targeting narratives and story grammar! Thanks for the giveaway! 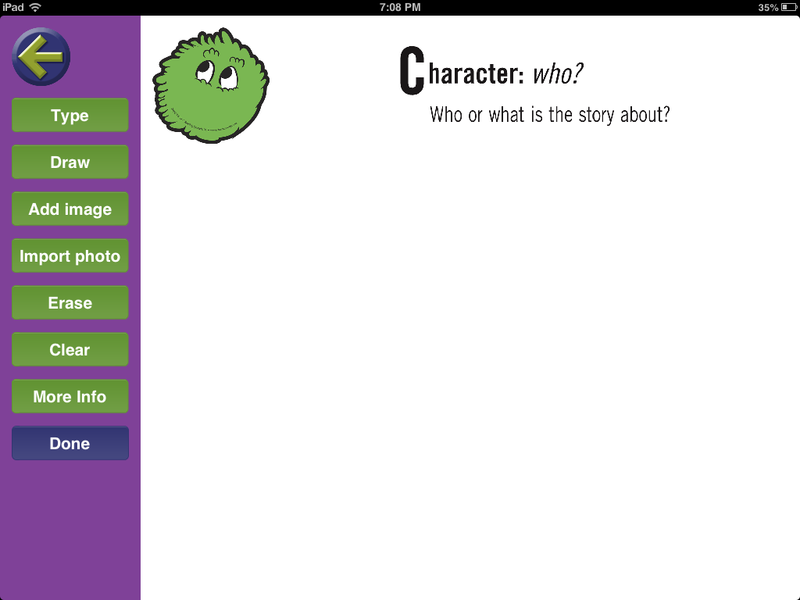 The SGM app would be perfect as I need more materials to target narrative language. I don’t use SGM right now, but with the new state testing that students will have to do starting next year, this will be and invaluable tool! I’m planning on writing my SMART goal on narratives so this would be a perfect tool to assist my lessons. 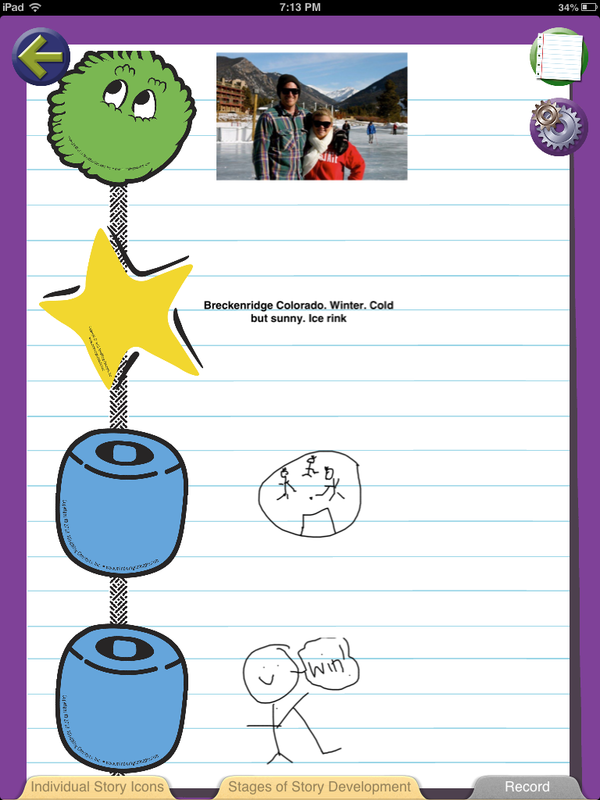 I have used SGM with my children that struggle with expressing their thoughts and ideas. Very excited about this new app. Yes I use SGM with students to help them with narrative skills, critical elements of narratives and sequencing of events. This app sounds great! I LOVE using SGM with students. I currently have on my to-do list a new SGM poster for my new speech room. This app would be even more awesome! I have seen many positive reviews on this program and would love to use the app with my students. I use the Braidy SGM with my early elementary kids and it totally engages them. It is a great way to encourage story comprehension, they love to come up and participate in story retells. I also find the tangible markers help to focus kids on the specific story elements and expand upon them. Would love to check out the SGM app. One more way to solidify a very important set of skills. This seems like a really great app. 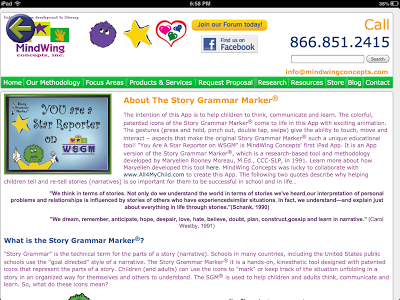 I have the story grammar marker program on my wishlist. I have heard great things about the program for a while. 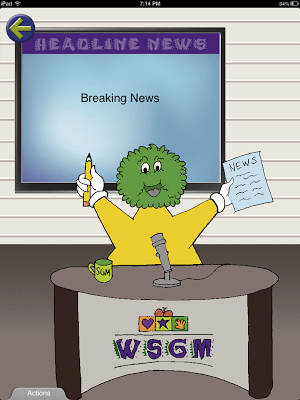 Right now, I instruct my students in oral narratives without using the actual SGM system. However, I would love to use the real program. I use SGM and the lower version Brady along with the Austism SGM Companion set. I work with students grade k-2 and the kids LOVE using Braidy or the SGM Braid to retell stories, respond to questions and to create their own stories. I’ve heard about SGM before and observed it being introduced, but I just bought some of the mini posters to get acquainted. I LOVE it! I need to get the manual so I understand it better, but in the meantime I’m using what I do know to help some of my middle school students comprehend narratives. I love the SGM and have used it for years the old fashioned way–with the braided string. Would love to use it the new “techie” way on the iPad! We really like your blog! Congrats! SGM is such a good app to use with my older hearing impaired kids at my school! Their language skills are generally grades behind, and being able to orally tell a narrative is difficult. You are so organized and creative! I recently purchased SGM and am excited to begin using it this school year. I was shown some of the SGM materials last year and really loved it! I do have the braid that is a great visual and tactile cue for my students. It really helped them remember the parts of a story. I started to use that to target narratives. This app would be great as many of my students have narrative goals (written and oral) and I am itinerant without a room so having an app would make targeting this goal efficient for me. 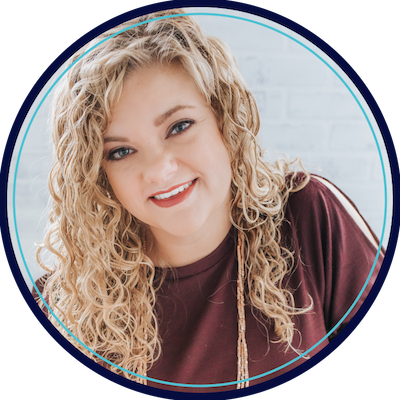 Looks great and love your blog! I used SGM in grad school but haven’t really used it since. 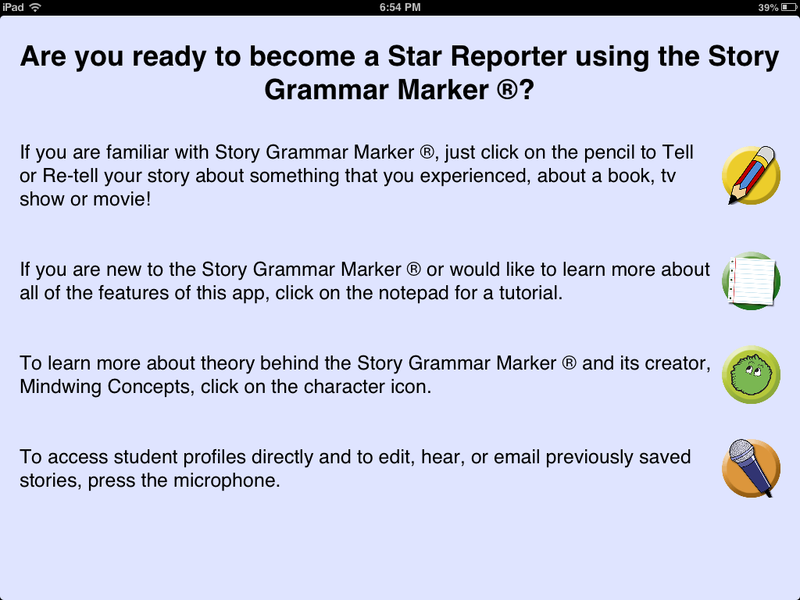 I would love to have this app to use with my students! My students love Story Grammar Marker. It’s such a great tactile system for retelling stories. I loved using the magnets so that kids could get up out of their seats and move the magnets around while they did the retell. 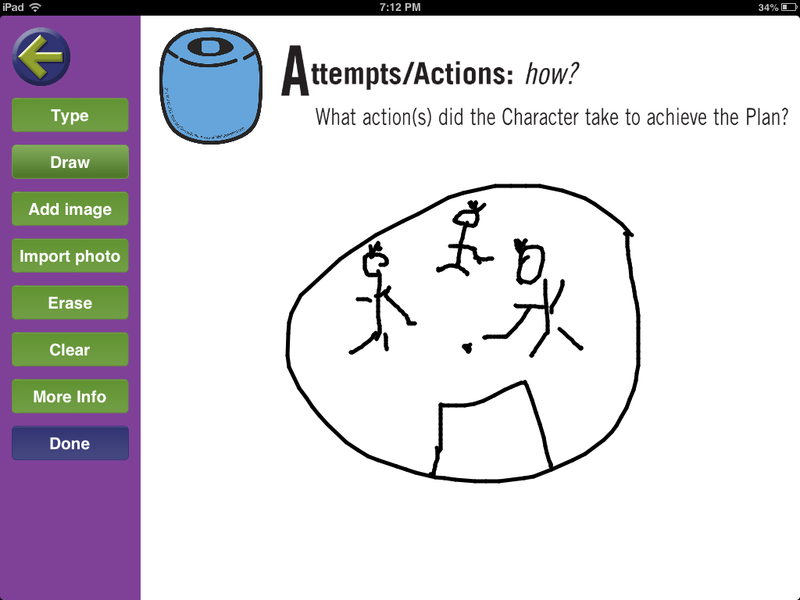 The next kid in the group would go and add more details to the retell! It worked so well! This app would be so fun to have so that I could use it with private clients as well! 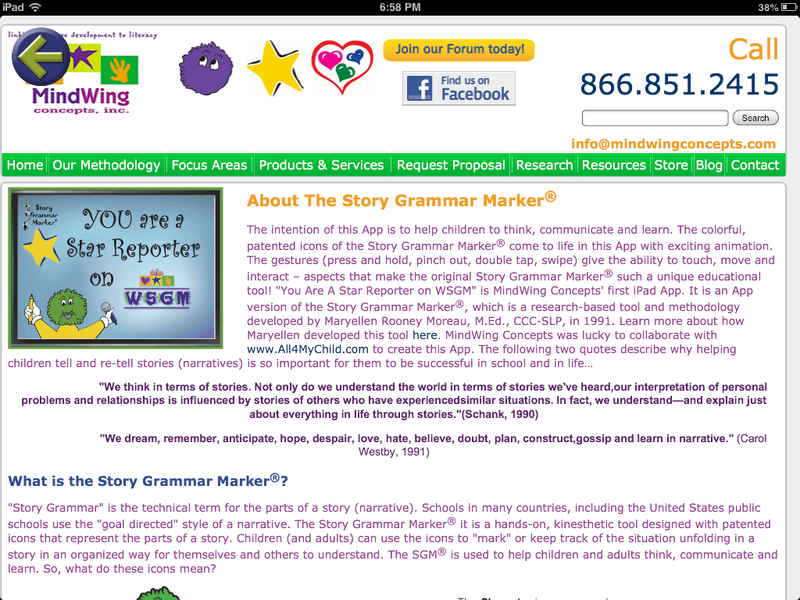 I have never used SGM, but the resource Language Arts teacher and I were JUST talking about tools we can use together to help our students develop better writing and oral expression! So, thank you for posting about this product. I will be looking into their products. I was just in a meeting yesterday where we wanted to target oral narratives for an intervention plan. I recalled his product, but after reading your post, the app would be very appealing as a tool for this intervention. Thanks for the review and giveaway. I declared this year the year of narrative development for my students and this all would start me off on the right foot! I work with middle school students and have used the SGM materials for a year or two with retelling, sequencing and comprehension. The app would provide an additional technology piece to what I am using already. I use narratives in my practice all the time. 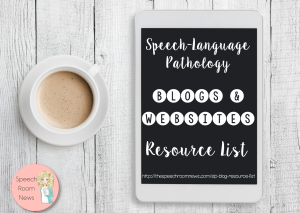 It is such a great tool for developing so many speech and language skills. I would LOVE this app as I would like o do a case study on the development of narrative skills using a structured program vs my haphazard current approach. 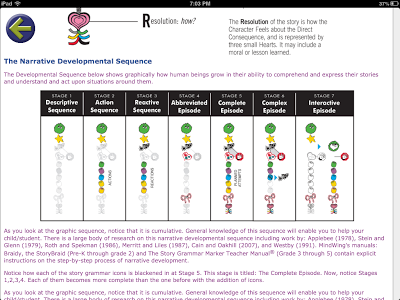 I use narratives with my student for retelling, sequencing, and comprehension skills. I would love the SGM app. I have looked (or longed) for the SGM materials but my small school budget prevents me from purchasing them. I LOVE Story Grammar Marker! 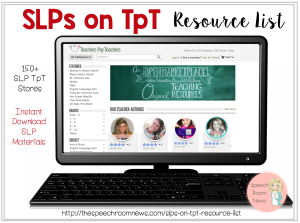 I use it with kiddos to help re-tell stories, since it seems like so many of my kiddos are working on retelling stories and answering questions from stories. 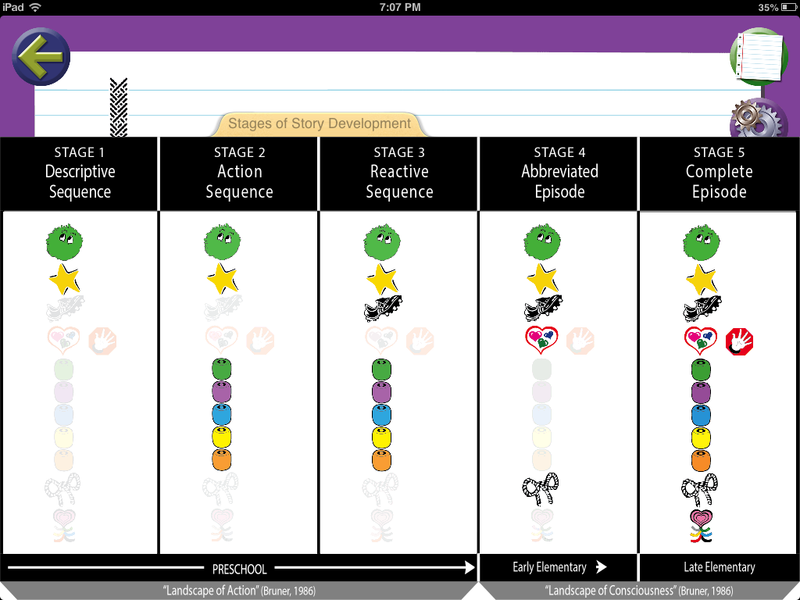 I have a Braidy doll, but I can see using this app with my older students. My students really enjoy using SGM! They love the icons and are really gaining an understanding of narrative structure which is helping their story retells, personal narratives, and story comprehension. 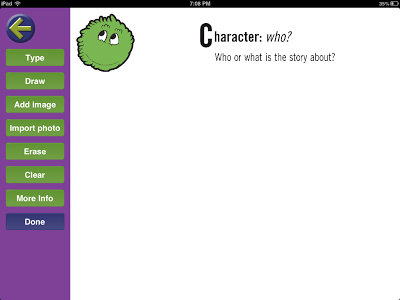 The app would be a great fit for my older elementary students who are so motivated by technology and need continued work on developing cohesive narratives. This particular weblog is seriously interesting, keep blogging good info On Reviews For My App.